Pantone's Color of The Year 2019! 2019 Pantone’s Color Of The Year! Pantone’s color of the year for 2019 is called Living Coral. It is a vibrant pinky-orange color that has subtle shades of gold mixed in, and it creates an unforgettably soft, yet vivid, combination. If you know the color, and you know what to look for, then you will see this particular color popping up everywhere, from painted walls, to personal gadgets, to makeup lines, and to social media platforms, just to name a few industries that are enhanced by Pantone’s choice color. Living Coral is a playful color that adds splash to our everyday lives. Pantone is a company best known for their Pantone Matching System (PMS). It is a system, mainly used in printing, paint colors, fabric coloring, and coloring for plastics. The PMS is a way to view numerous color options, with various shades, and have the ability to compare, and contrast, them easily. PMS is Pantone’s proprietary invention, and is well-known all over the world. Since the year 2000, Pantone has been picking a “Color of the Year”. Pantone’s color choice for each year, greatly influences many other industries. For example, some makeup lines have developed products that highlight Pantone’s color of the year, as have paint developers, fabric manufacturers, printing companies, and many others. As for this year’s color winner, Living Coral, it can be found throughout different industries, as well. You can find hues of this distinctive color in wall paint, nail polish, pillow covers, clothes, office products, and the list goes on and on. If you decide to use this color throughout your home, there are many ways that it can be displayed, without being overwhelming. Executive director of the Pantone Institute, Leatrice Eiseman, has stated this about the color, Living Coral, “Color is an equalizing lens through which we experience our natural and digital realities, and this is particularly true for Living Coral. 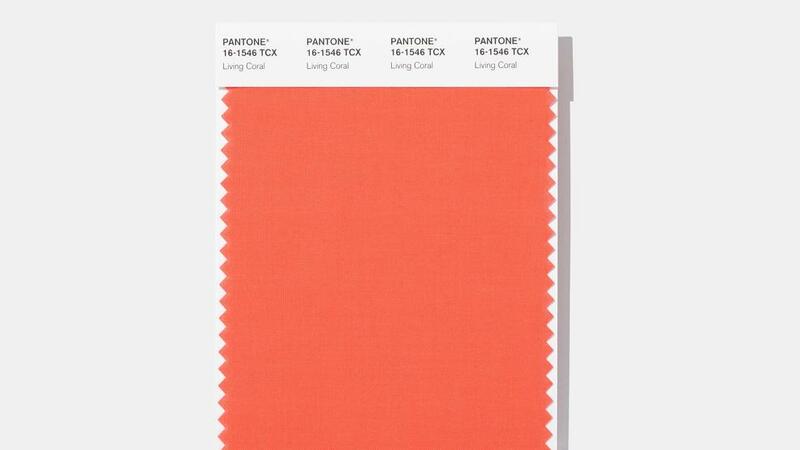 With consumers craving human interaction and social connection, the humanizing and heartening qualities displayed by the convivial Pantone Living Coral hit a responsive chord”. Living Coral is a positive color choice for 2019. Perhaps you may consider using hues of this color as a paint choice for a bathroom, accent wall, sunroom, or somewhere else where you want a splash of color. It is a choice that can definitely add warmth, pizazz, and vibrancy to any room. If you are looking to add a pop of color to your home contact us at Noel Painting.